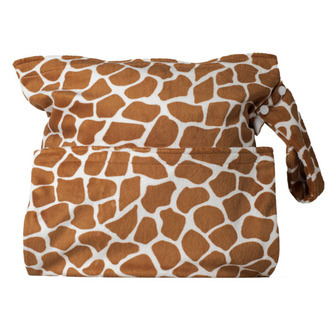 A Fun Reusable Swim Nappy. Don't Waste $ on Disposables! 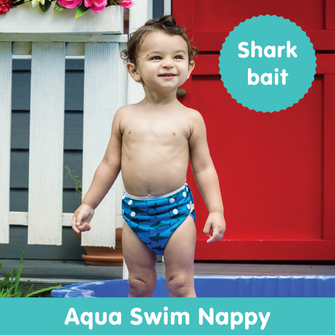 A fun reusable SWIM NAPPY for swimming pools. 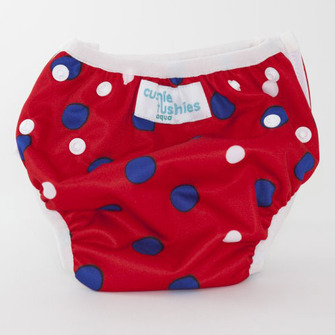 Cushie Tushies Cloth Nappies make TOILET TRAINING your toddler easy. One-size design that grows with your child. 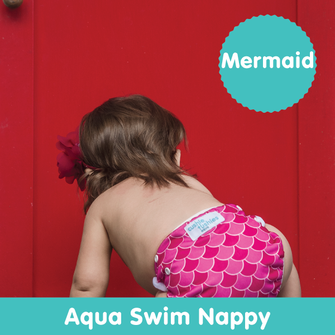 A fun Reusable SWIM NAPPY for swimming pools. Don't waste money on disposables! Currently out of stock until end of October. 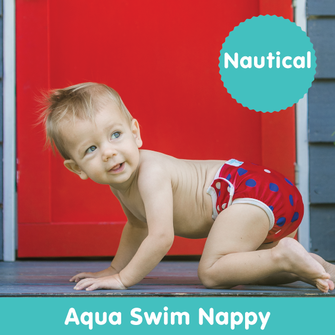 Preorder available to secure your swim nappy in time for Summer. Swim in comfort and style with the Aqua reusable swim range! 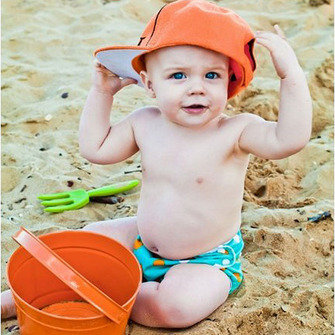 The Cushie Tushies Aqua reusable swim nappy is a unique one-size design that grows with your baby, fitting approximately 6kg to 17kg. These have a polyurethane lining that acts like a plastic coating between two layers of fabric. The elastic legs and waist keeps anything from coming out the legs or above the waist. Once baby has finished their swim, all you have to do is flush the waste down the toilet and wash for next time. 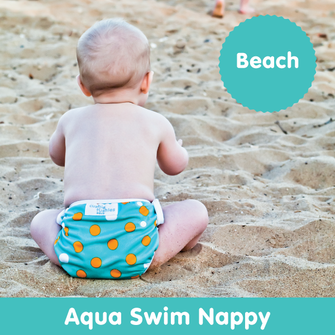 Swim nappies are usually a mandatory requirement of most public pools to keep the water sanitary for others, as they are able to contain the baby's poos. 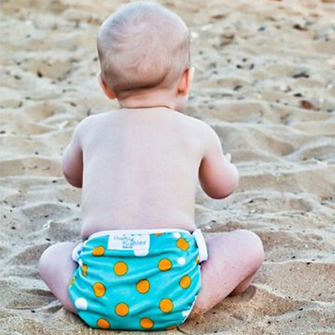 Save Money - One reusable swim nappy is usually the same price as small pack of disposable. However the disposable can only be used once and must be thrown away. 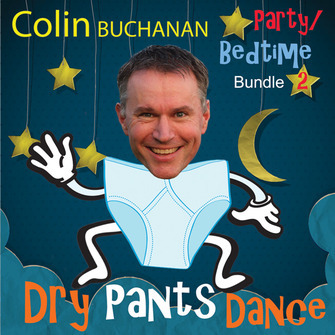 The reusable swimming nappy contents can be flushed down the loo and washed for re use. Reusable swim nappies will pay for themselves. 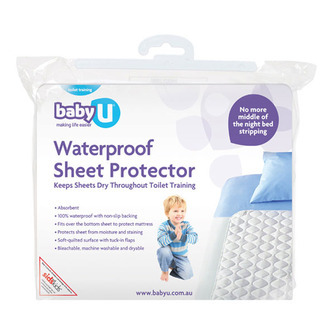 No nasty Chemicals - Unlike Disposable Nappies, Cushie Tushies are chemical free protecting your Babies skin. 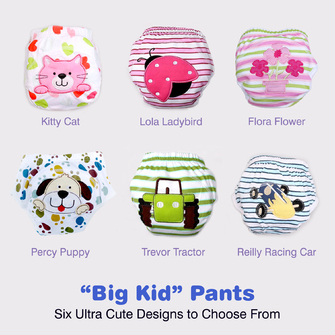 Cute Designs - You can even get a design to match babies swimsuit. Hand me downs - Not only can you reuse the swimming nappy, when your baby has grown out of it, you can keep it for your next baby. 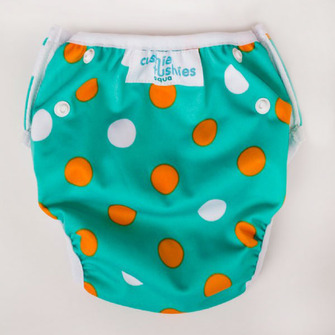 The chlorine resistance means your baby swimming nappy won’t disintegrate or fade. A great hand me down. Simple to Use - Very simple to fit on, simply adjust the top and bottom side snaps to fit snuggly around your baby’s legs and waist. After use, simply rinse promptly and hang out to dry.